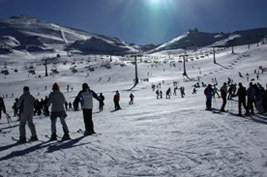 The Sierra Nevada may not be as famous as the Alpine Ski resorts, but it is the largest, highest and best ski resort in Spain, boasting over 100km of pistes, and with the seemingly endless 6 km long 'Aguila' it is also home to the longest piste on the Iberian peninsula. As the most southerly in Europe, it offers you, on a clear day, the most incredible views across the Mediterranean Sea to Africa. The world class facilities there were host to a 1996 FIS World Cup Ski Championship race. With a long season running from early December until May the resort has a fantastic snow record yet enjoys plenty of Mediterranean sunshine. In fact in Spanish it is referred to as "Sol y Nieve" (Sun & Snow). 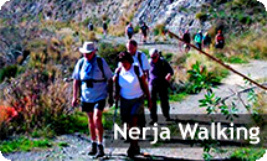 Nerja based, "Ski & Sea" have been operating unique all-inclusive ski day trips from the coast for the last couple of seasons. It doesn't matter if you weren't expecting to ski during your stay as they provide you with everything you need, ski clothes, ski hire, transfers to the resort, lift pass, ski guide and beginners lessons, and all for only £99 per person per day.